Quotes. These are NOT mine. All credit goes to lynxycrowy. 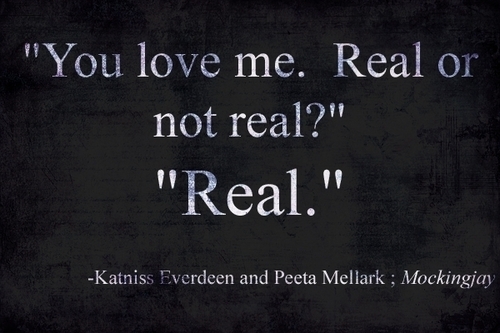 Wallpaper and background images in the The Hunger Games club tagged: the hunger games quotes fan made. This The Hunger Games fan art might contain سائن ان کریں, پوسٹر, متن, چاکبورڈ, نشانی, and تختۂ چاک. 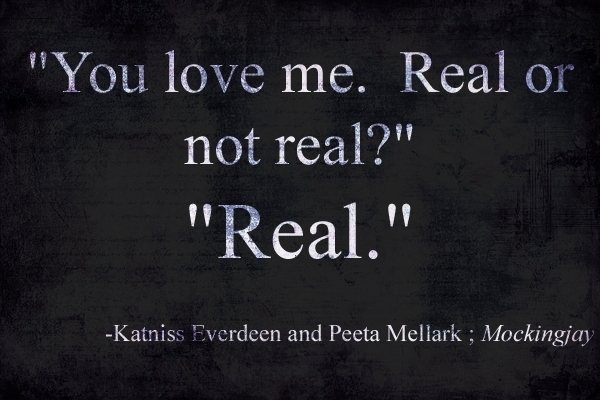 thats one of my favorite sayings in mockingjay! This was my favorite part in the book. Even though it was only 8 words long i loved every single one of those words! I'm so happy she chose Peeta! so am i! i would be mad at katniss and suzanne collins if she chose gale. I know! If she ended up choosing Gale I probably would of had a major fit and tore apart the book! ikr!^^^^ i wouldve thrown a tantrum. I threw a tantrum when peeta came back screwed in the head. That was my fave part in all of the books!!! I was soo happy she chose peter not gale!!! @Peetalover13: same here. i was all like that's not suppose to happen! Then i started yelling at the book, my sister was unfortunately in the room.